Cat owners place a measure of trust in a pet food company when they purchase a company's product to feed to their cat. However, it happens on occasion that some cat foods may become contaminated with a chemical, disease, or harmful substance. Unfortunately, in order for this contamination to be detected, several cats may have to die before the connection to the tainted cat food is made. There are many resources available to check which specific cat foods have been recalled, as well as any updates on possibly harmful brands of cat food. In 2006, it was discovered that a facility in Everson, Pennsylvania manufactured massive amounts of pet food that could possibly be tainted with salmonella. As of today, dozens of people have gotten sick from acquiring salmonella from infected animals. Even though this processing plant has now been closed, it is still possible to purchase cat food that is tainted with salmonella. About 105 brand names of pet food were affected by this Salmonella incident, and it is highly possible that some of this contaminated cat food is still in some cat owner's homes. To check if your cat food is affected by this recall, the government recall site has a full list of all affected cat food brands. In 2007, the FDA discovered that there was a contaminated ingredient in many pet foods that was causing sickness and death of many household pets. This contaminant was traced back to vegetable proteins that were being imported from China into the United States. In addition to this, it was also discovered that a portion of this contaminated vegetable protein was fed to livestock and fish, which were then processed into human food. Though the risk of being negatively affected by consuming any of these animal products posed a very low risk to human health, the FDA is continually removing any product associated with the contaminated vegetable protein. It was discovered that melamine was deliberately added by the Chinese company to the vegetable protein (in this case, wheat gluten) in order to increase the protein content. Melamine was only shown to have minimal toxic results on lab rats. However, it seems that cats have a specific sensitivity to melamine, causing the widespread death of many cats that were fed the contaminated food. The recall of many popular cat food brands has actually improved the sale of some more expensive cat foods, since these are perceived to be “safer”. This is due to the higher quality standards of many companies that manufacture premium cat food. More specifically, many cat foods that are organic, USA-made, grain-free and contain “locally grown ingredients” have become increasingly popular among many cat owners. This has also raised the overall dollar sales of the premium pet-food category from an economic standpoint, despite the recent downturn of the economy. As an alternative to commercial pet foods, many cat owners are instead opting to make their own cat food at home, in order to avoid dealing with possible pet food contaminants. This has also been a growing trend, and there are many resources available for consultation in the proper way to make your own cat food. 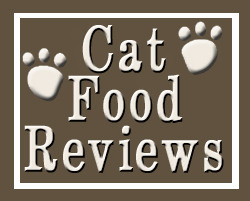 Good information about the cat food.It is so hard to know what kind of cat food to buy. Also the controversy about the either dry or wet food.